Seen through the camera’s lens, photographs tell a story not imagined but lived. The Humphrey Winterton Collection of East African Photographs: 1860-1960 documents the African colonial era to the dawn of independence. The collection portrays both African life and European life in Africa in all its manifestations. It chronicles the daily experience of colonial residents: how they traveled, the lives they created for themselves, their social activities, and their early interaction with the rest of Africa. 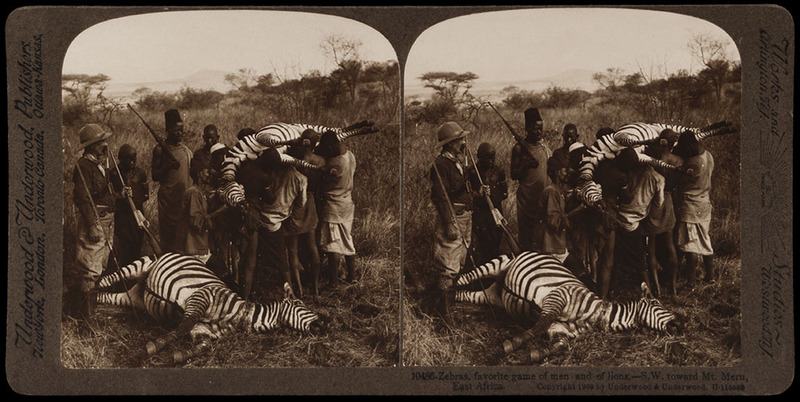 There are images of Europeans on hunting safaris, of African chiefs and royalty, and of the African landscape, revealing how it changed over time. Assembled over a span of thirty years by the collector Humphrey Winterton, this rich resource provide a wealth of information for scholars. Users can search the online website of digital images to explore the 76 separate albums, scrapbooks, and loose collections that make up this vast photographic archive.